A bunch of teens become stranded and targeted by a cannibal. 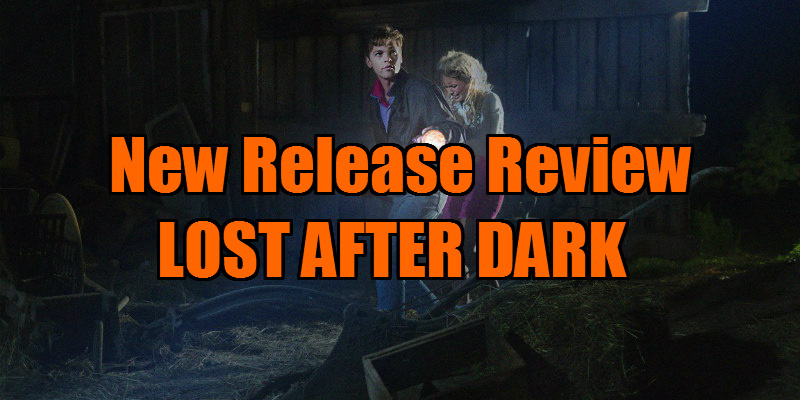 Lost After Dark is nothing special; the plot is indeed recycled and predictable and it tries too hard to be overly '80s. However, it is heaps of fun. 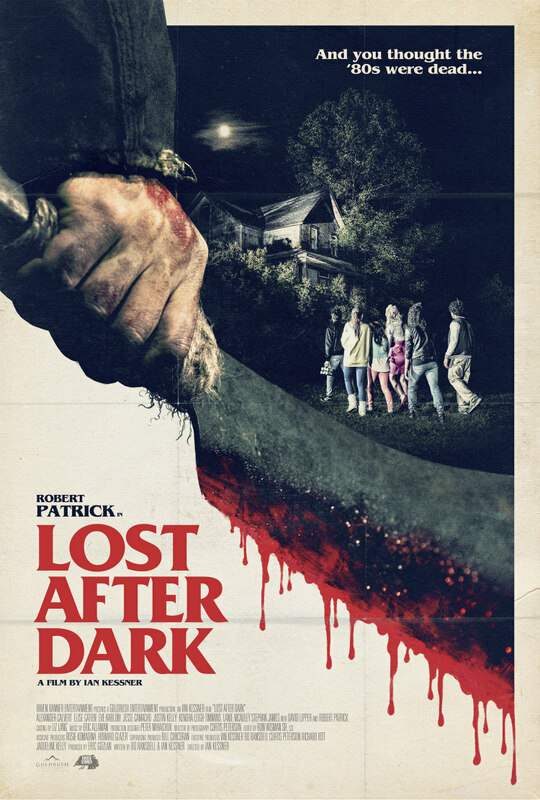 Directed by Ian Kessner, Lost After Dark is a horror film that advertises itself as a “clever homage to '80s slasher films”, and that it is. The film follows innocent sickly-sweet Adrienne (Kendra Leigh Timmins), who wants to impress popular jock Sean (Justin Kelly) and his hard to please friends. And so she steals the keys to her Dad’s cabin in the woods (of course!!!). She and seven others then hot wire a classic yellow school bus and go on their journey full of make outs and weed to the cabin. Obviously, being a predictable '80s horror film, the kids never make it to the cabin, as the school bus, in classic horror style, breaks down. The kids go to find help but end up finding more than they bargained for when they come across an old looking house in the middle of nowhere that just happens to belong to a cannibal. In true '80s style, the film has a bunch of archetypal characters; we have jocks, mean kids, weed smoking nerds, punks and of course, the black friend. I know that the film is purposely homaging '80s horror films, but I feel like it definitely tries too hard and it’s not subtle at all; the hair and costumes are over the top! It not only follows the stereotypes of horror films, but also other '80s films; for example, it has a romantic likeness to Pretty in Pink, Adrienne being the Molly Ringwald type character trying to impress and be in a relationship with a more popular kid, Sean. It definitely has a nostalgic feel and if you’re any sort of film fan you will be able to pick out clichés and join in with the fun, because it is that predictable (apart from an early death which really annoyed me and I wasn’t expecting). There are tons of nods to famous films, including Grindhouse, Friday the 13th, Halloween and Texas Chain Saw Massacre, and there are even some cameos thrown in for good measure. If you’re a passive viewer, you probably won’t notice, but if you're like me and are a true horror fan you will notice a pattern with the characters' names – the girls are named after popular leading ladies from horror films and the boys are named after famous directors! I’m not going to spoil them; watch it and see if you can name them yourself! 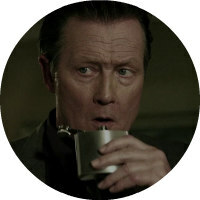 Lost After Dark is nothing special; the plot is indeed recycled and predictable and it tries too hard to be overly '80s. However, it is heaps of fun and I reckon horror fans could play endless drinking games trying to guess the many nods to the popular horror films of the '80s.